Here at Style Salute HQ, we love trying new products and sharing our favorites with you. And we tried a few heat protectant hair products this past month that blew our minds. Any hair care expert will tell you that in order to prevent hair from becoming dry and damaged from high temperature irons and dryers, you should use a heat protectant, like a heat protection serum, cream or spay. “People do the most damage to their hair by over using various hot tools,” shares Carey, hair expert at stylist at Sephora in Beverly Hills. “Most girls also use these tools without any protective hair products, which will cause breakage. The thinner the hair, the more the damage will show,” says Carey. So, one proactive measure you can take to protect hair from heat damage is using a heat protectant. 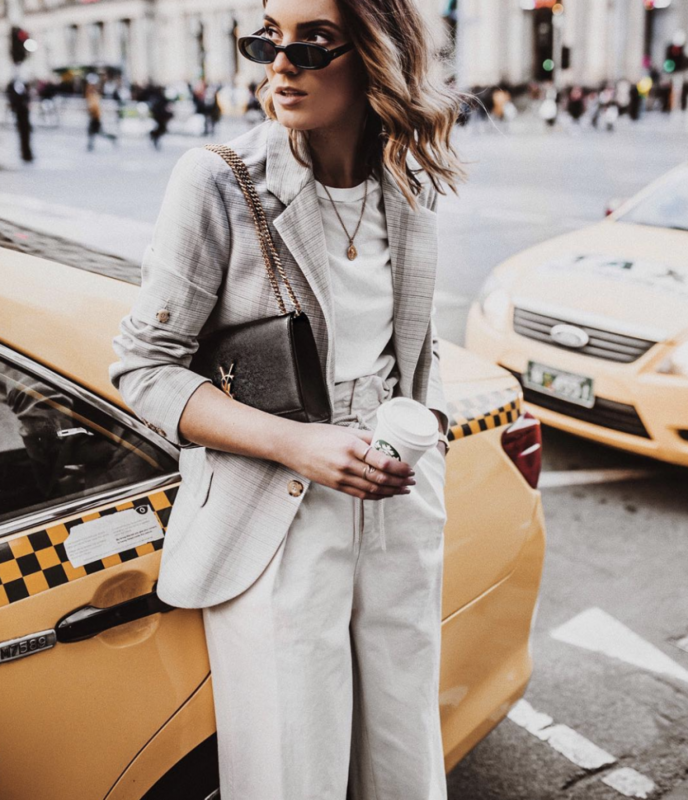 Not only do heat protectants keep your hair from getting fried—they also de-frizz, add shine, detangle and help straighten and smooth your hair. Once applied, you can heat style your hair with confidence (buy-bye heat styling guilt). There are scores of heat protectant products on Amazon, from serums to creams and sprays. We combed the e-tailer to discover the highest-rated, best heat protectant products the e-retailer has to offer. Ready to healthiest locks of your life? Keep scrolling to read about the 13 we found. 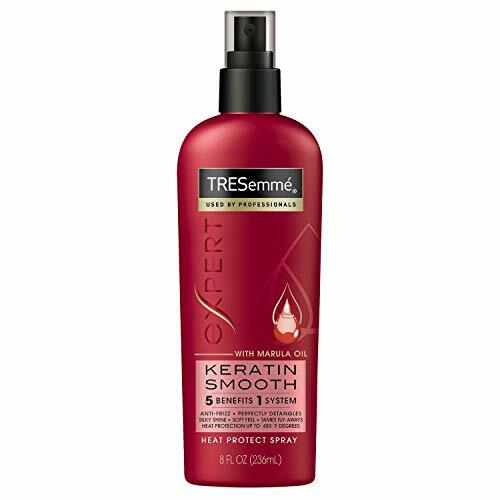 TRESemmé’s Keratin Smooth system is specially formulated with keratin and marula oil to helps you achieve silky smooth hair that’s full of natural movement. This heavy-duty spray promises to protect your hair from heat as high as 450 degrees. If you love their straighteners, then you’ll love their heat protectant. ghd’s ultra-lightweight Heat Protect Spray can be used on damp or dry hair, offering an invisible barrier against everyday heat. Pro tip: spritz from root to tips and comb through to ensure an even distribution of product before using your hairdryer. Apply the Heat Protection Spray first if you intend to use other styling products. CAVIAR’s Restructuring Bond Repair Leave-In Heat Protection Spray is another lightweight, vitamin-enriched protectant that you can use as often as needed. Amazon reviewers can’t stop praising its pleasant scent. The Run-Through Detangling Primer by Oribe contains a special cuticle-sealing formula that protects the hair from damage caused by excessive heat and comb-resistant knots. It conveniently doubles-up as a heat protectant and a leave-in conditioner. Morrocanoil’s Perfect Defense is a dry aerosol spray infused with the brand’s signature argan oil and panthenol. It’s suitable for any hair type and leaves strands feeling silky and healthy. One Amazon reviewer claims it also works excellent to assist hot curlers in holding the curl for much longer. 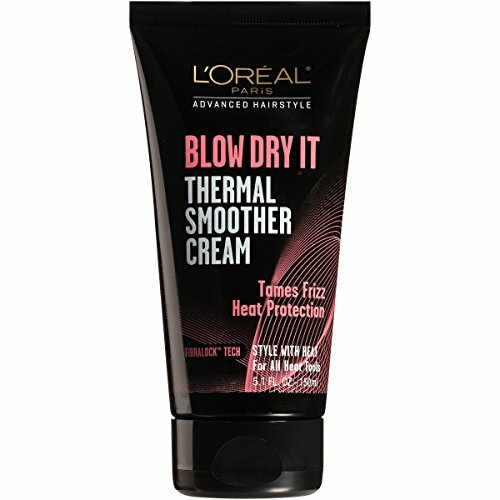 The Advanced Thermal Smoother Cream by L’Oreal Paris is an affordable heat protectant that actually does the job. With a 4.3 out of 5-star review on Amazon is proof of that. Squeeze a quarter-size amount into the palm and apply it to damp hair before blow-drying. If you blow dry your hair in a downward motion, it helps seal the cuticle for a much smoother finish. The Shield Style Extending Spray by amika is formulated with sea buckthorn berry that’s rich in antioxidants. It promises to nourish and defend your hair against color oxidation, while its UV filters guard against harmful UV rays and pollution. Kenra’s Blow Dry Serum claims to decrease blow-dry time by 50 percent while providing heat protection from damage and breakage. It works to eliminate frizz and resists humidity. One happy user says, “I have very fine hair that flies away with static electricity, especially in the winter. This is the only product that solves this problem without weighing my hair down. 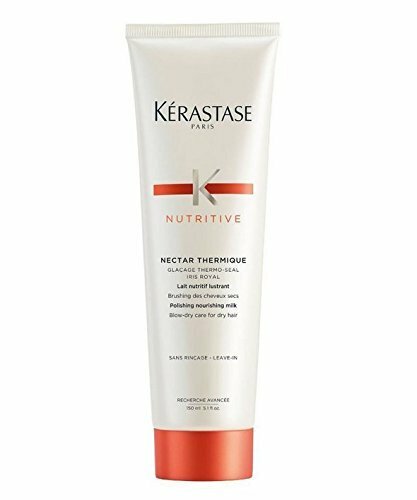 Kerastase’s Nutritive Nectar Thermique Creme has an impressive 4.6 out of 5-stars on Amazon. It protects hair from heat-styling tools, providing extra nourishment. It will leave your hair feeling soft and moisturised with optimal shine. 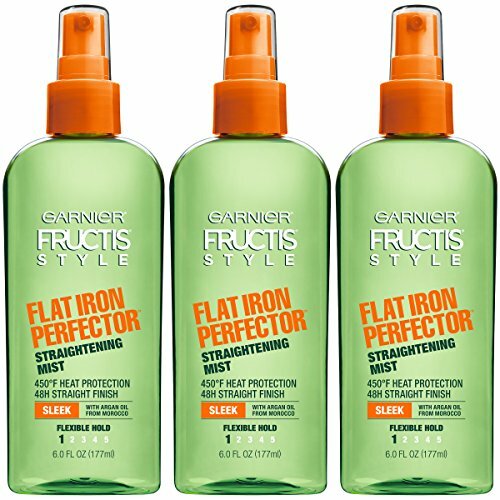 Garnier’s Style Flat Iron Straightening Mist is a paraben-free formula that includes Moroccan argan oil. This spray is particularly useful when trying to tame frizz for a sleek finish. The Thermal Hair Protector Spray by ArtNaturals has over 1,250 reviews on Amazon, making it an extremely popular choice. The spray can be used on all hair types, and can also be used as a leave-in conditioner. The thermal shield will hydrate and nourish your hair, and will also speed up drying time. 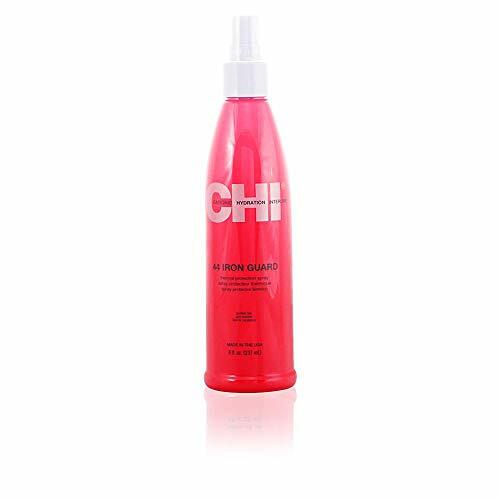 CHI’s Iron Guard Thermal Protection Spray offers superior thermal protection with no added build-up. It helps seal the cuticle and works to prevent future damage. Next up, check out the unexpected beauty products everyone is buying from Amazon.